I may be the last of a generation who remembers the local village vicar. As familiar a sight as the local Bobby (policeman) walking his beat, the vicar was often about, visiting parishioners, helping in schools, generally being part of the community. Now this is a sight only for fiction – Agatha Christie dramas, ‘The Vicar of Dibley‘ and suchlike. And yet I’ve discovered that the roaming priest is still very much needed. This image is not a place where I have personally walked. But it is cookie-cutter similar to those I, and many others, do. As I lock the heavy gate-door behind me and enter the prison wing, I always feel a little nervous. But it’s similar to the feeling before a public ritual, a Handfasting or even visiting a private house for a supportive chat. Because you are ‘on’ – you are Priest, Minister, Chaplain, Celebrant… whatever you want to call me (as I often say, you can call me anything provided it’s nice!). I minister to those who identify as Pagan – but I am often approached by others too. In the prison environment it’s first of all because I’m female, but then out of curiosity. Again, it’s similar at public events when I’m in robes. I’ve spoken of it before and I’m still glad that people are curious rather than fearful, able to approach and ask questions rather than cower or even be abusive. I’ve discovered, too, that despite my nerves, I rather love it. I got back to the Chaplaincy at the prison a few weeks ago, after spending quite a while on the wings, and commented on how good it was to do, how worthwhile. The Church of England Chaplain looked around and smiled. “It is, isn’t it?” he remarked. He’s often out and about, Bible in hand, huddled against the cold but always busy, out there with those who need him. 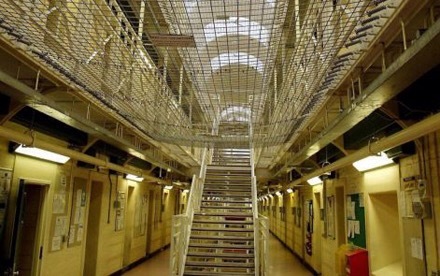 The prisoners have told me of the friendly Imam as well, often there for a chat. The Priest serves their community as they are needed and called upon. This is regardless of faith path, religious doctrine or even personal preference. We help because that is our role and our job, but also our calling as people. We want to make friends, to find that common ground, to share and connect with others. I’ve been reading a lot lately about Ministry, biographical accounts of women fighting to become priests in the Christian Church over recent decades, but also those taking vows to join monasteries or convents. The latter may seem to be removing themselves from their communities in order to better understand and work with their spirituality, but in fact they are often the busiest, getting out into the roughest areas to help those who the ‘regular’ world believes beyond help: the sick, dying, homeless… those in need. I read of the ‘call’, vocational summons to live life for God. This is an interesting idea from a Pagan perspective, and one that I’m not sure has really been explored yet (not that I’ve seen, at least). Many of us live our lives with honour to our Gods, but giving everything up for Him/Her…? And yet, I realize, perhaps I am doing this already. I mediate between the spiritual and the everyday, in my writing and my ‘walking the talk’. I represent deity (as named individuals and the wider Natural world) in public ritual. I end my day exhausted but glad, having worked as a Pagan for those who ask – and those who don’t, but who welcome me anyway. I may not even mention ‘Gods’ to those who approach me as I walk the prison paths. But I do explain what my Paganism means, find common ground (often surprisingly easily!) and simply chat, as a visitor and potential friend. I’m not out to convert anyone, but respect those who step up to ask. The other day, as I locked those same barred gates behind me, I heard a (non-Pagan) prisoner commenting to a mate of how pleasant I was. The Pagan prisoner I’d come to see was beaming – proud at last that his spirituality was recognised and valued, rather than mocked. Just by my turning up and engaging. So the Priest is still walking the streets, still needed. In traditional ways, but also exploring new ground – online, via social media and Skype – but where there are people who need companionship, help, just someone to hear them and be there. I suspect many ‘quiet’ or solitary Pagans do the same, in their small but meaningful way. It might not be a job for all of us. I’m still often surprised that I’ve fallen onto such a path! Or perhaps… just perhaps… I answered that call. I’ve often thought it must be a good deal easier to do the job with the infrastructure some religions are able to provide. Capitalist culture has little room for priests free at the point of deliver, but the work is vital and diverse, counselor, celebrant, advisor in times of crisis, comforter, reliever of poverty, bringer of hope, facilitator, maker of cakes, holder of community spaces… no two days the same for any priest of any faith. I think the reason we don’t give enough care and support to our priesthood has everything to do with the way in which society is structured around a very narrow approach to paid employment. we don’t ask what would be good, or what is needed, we ask what can be made to turn a profit. I remember the Vicar when I lived in a small town. He came to my Primary school once every week to read stories to the children, and he was really good – he told fables and fairy stories rather than Bible stories, because it was easier to engage children of five and six in them. After he;d read a story, he would lead a discussion of the morals and ‘lesson’ in the story. I remember being a bit older, and in our new town the Vicar, etc, didn’t allow questions and discussions in their sermons, and they never visited schools or did much beyond their actual church. I was really disappointed in that. I think religious education has taken a turn for the worse in schools. When I was a bit older at a different school, we used to sing Christian hymns, secular ‘hymns’ and religious song from other (open) cultures in our Assemblies, not just the Official Protestant Hymn Book. Singing was a lovely way to bring everyone together, and since it was focused on that rather than active worship, no -one felt left out. Even though this was the days where you were encouraged to pray at the end of Assembly, if you didn’t want to but just sat quiet, no-one made a fuss and made you pray. When I left school for good a couple of years ago, for the last five or so years all we ever learned about were wars, terrorists and ‘Did you know that religious people are people? They might, for example, ride the same bus as you!1?!? !’ – Almost verbatim from a textbook. It’s sad. Cat – your community is very lucky to have you. A brave thing to put oneself out there-not just because your visiting a prison but the mere fact of going out there and being there with an ear to listen- just to be there for someone. I agree with Kris, your community is lucky to have you working for them. Thought provoking discussion.